We deals in various brands of bikes which includes reputed brands like Honda, Yamaha, Suzuki, Hero, Bajaj, TVS, Kawasaki and Royal Enfield. Equipped with host of advanced features, these bikes are designed for speed and style. The bikes are it is ideal for long distance travel with increased stability and road grip. Honda is one of the world's leading motorcycle manufacturers offering a wide range of classy motorcycles. These all new stylish bikes are high on safety measures and are good for the environment, good for society and good for business. From a line of sporty motorbikes, to off-road funsters to the luxurious motorcycles, Honda has bikes for all and everybody. The Honda bikes offered by us are Honda CBR 150cc, Honda CBR 250cc, Honda Twister, Honda Unicorn, Honda Shine 125cc and Honda Trigger. We brings you the motorcycles from Yamaha Motor Pvt. Ltd. These motorcycles are innovative in technology, proactive in design and excellent in performance. The Yamaha motorcycles are superior in quality and serves every purpose, weather it is style, commuting or sports. 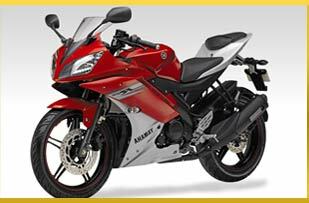 Our gamut of Yahama consists of Yamaha FZ16, Yamaha FZS, Yamaha YZF-R15 Version 2.0 and Yamaha Fazer. Motorcycles from Suzuki Corporation is offered by us are a perfect blend of advanced features and functions. These motorbike provides exceptional motorcycling experience and considers ideal for long distance traveling. 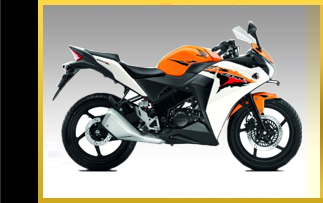 Our assortment of Suzuki motorbikes includes Suzuki Sling Shot and Suzuki GS-150R. Hero or Hero MotoCorp Ltd. is the world's largest manufacturer of two-wheelers. 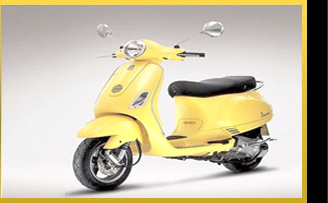 The bikes offered by us are highly fuel efficient and considered as family bikes. These bikes are equipped with host of advanced features and are highly reckoned for their elegant design and high performance. The Hero bikes offered by us includes Hero Karizma ZMR, Hero CD Deluxe, Hero Splendor NXG, Hero Passion Plus, Hero Super Splendor, Hero CD Dawn, Hero Hunk and Hero CBZ XtremeHero Karizma ZMR, Hero CD Deluxe, Hero Splendor NXG, Hero Passion Plus, Hero Super Splendor, Hero CD Dawn, Hero Hunk and Hero CBZ Xtreme. We are also one of the leading names in offering our clients a wide range of high performance based TVS motorcycles. With the automobile market have seen a lot more change with the changing preferences and demands of the customers, TVS Automobile Company has risen to the challenge of providing in its bike segment new innovations that are most sought after by the youth of today. Joining the motorcycle business in the year 1960, Kawasaki has come up as a major force to reckon with in the Indian and global biking segment. As a major player from Japan, it has with it the desired technology as well as research facilities so as to ensure optimum performance, safety and comfortable riding experience for the bikers the world over. Royal Enfield motorcycles have always been one of the most demanded bikes in its segment right since the initial years when the concept of bikes was introduced in the market. With many motorcycle variants of this brand having turned out into treasured items like its original 350 cc left side kick bikes, the company has indeed stood up to its name in offering highly dependable high power and thrilling biking models that are not only highly popular in India but also all across the world.